“Do it once and do it well” is the philosophy our Meyer lemon grower, John Honey, lives by. This approach to his methods results in Nature’s Partner Meyer lemons with exceptional color and flavor, brought to you fresh from New Zealand every summer. John began his professional career in the logging business, but quickly realized his passion has always been to grow things, not cut them down! 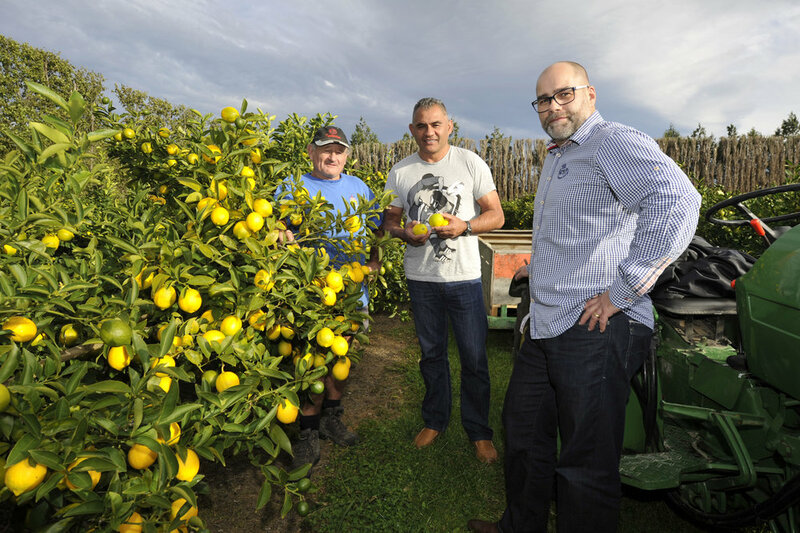 Over the last 15 years, John and his wife Iren have developed a number of orchards throughout the Gisborne District of northeastern New Zealand. Gisborne’s dry, sunny climate makes it ideal for growing ripe, flavorful fruit, perfect for all of your summer recipes. Fun fact: In the 2015 season, John and Iren Honey will produce more than 500,000 pounds of Meyer lemons!